He is risen! In celebration of this joyous occasion, we’re posting an excerpt from Craig Parton’s chapter in Making the Case for Christianity in which he investigates the facts and evidence surrounding the resurrection of Jesus Christ. 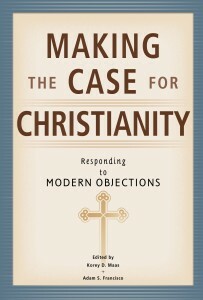 Accessible to readers of all levels, Making the Case for Christianity: Responding to Modern Objections introduces specific intellectual objections to the Christian faith and then demonstrates how these objections might rationally be answered. Critics such as [Dan] Barker still respond, isn’t the resurrection just another miracle (like the “healings” performed by the surgically-enhanced and well-coifed Mr. and Mrs. Televangelist) that can be easily explained in naturalistic terms? Hardly. As the existentialist philosophers and analytical psychologists have been quick to point out, death is the ultimate leveler of us all. We all fear death in some sense, and so the funeral, for instance, becomes an ancient effort to help the surviving community come to grips with the devastation and seeming irrationality of death. In light of such realizations, Carl Gustav Jung and Mircea Eliade, for example, convincingly argue that images associated with death are cross-cultural and indeed are “archetypes” of the collective human unconsciousness. The suggestive point here is that if God were indeed to become man and to give us insight into one issue, it would be the enigma of death. In Jesus Christ we find the announcement that, though we have brought about our own doom by our cosmic rebellion against God, God himself has acted to effect a reconciliation wholly incapable of being effected by sinful man. Jesus claimed that he had come to earth to deal with man’s sin and to give a final answer to death for all who believe. If ever there was a basis for worship, it is here. Instead of coming to earth to engage trivial concerns (curing hangnails, for example, or presenting the glories of a particularly effective weight-loss program), the eternal Logos in the womb of the virgin became fully human to deal with the fundamental questions of human existence: Why do we die, and what follows death? Jesus himself claims that he is the center of all of Holy Writ and that to miss him as center and circumference of the whole Bible is to end in misery (see John 5:39; 14; 16; Luke 24:44). This is most clearly seen when the Apostle Peter suggested that there were a variety of interpretations and “dissenting opinions” as to Christ’s true identity (Matthew 16:14). But Jesus’ response—“But who do you say that I am?” (v. 15, emphasis added)—brought the discussion down to the critical question, and to the personal, eternal consequences of the answer. In many matters, having the “right interpretation” is of little consequence. Differing interpretations of a work by Melville, Faulkner, or Graham Greene make for interesting discussion in class, but the disagreements are hardly eternal in their ramifications. In some fields, however, getting the right interpretation is literally a matter of life and death. Postmodern interpretive approaches are not found, for example, amongst cancer specialists interpreting the radiological scans of their patients. Similarly, juries reach verdicts and send defendants to an appointment with a last meal and a lethal injection convinced that they have arrived at the one correct interpretation of the facts in a case. In the same vein, we suggest that the interpretation arrived at by Peter—in his confession before Christ’s death, but most consistently and forcefully in his proclamations after Christ’s resurrection—has weighty consequences. Christianity rests solely on the person and work of Jesus Christ as its foundation; thus the correct understanding of these is a matter of both earthly and eternal importance. The resurrection is proclaimed in the primary source documents as of fundamental importance, as the center of apostolic preaching, and the center of the entire Gospel (see Acts 2, 4, 10, 13, and 17). Paul summarizes the substance of the Gospel by saying that “Christ died for our sins . . . [and] that he was raised on the third day” (1 Corinthians 15:1–3). The Apostle goes on to say that “if you confess with your mouth that Jesus is Lord and believe in your heart that God raised him from the dead, you will be saved” (Romans 10:9). So critical is the bodily resurrection of Christ, Paul insists that if Christ did not rise from the dead, the apostles are false witnesses, the apostolic preaching is fraudulent, the Christian faith is deeply deceptive, we are all still in our sins, and that the dead in Christ are lost (see 1 Corinthians 15:14–19). The doctrine of the resurrection is so central to Christianity that any teaching that in any way denies the physical, bodily resurrection of Jesus Christ may be many things, but one thing it is not and cannot be is Christian. The Apostle John, an eyewitness to the crucified and resurrected Christ, records Jesus’ testimony concerning the meaning of his resurrection from the dead: “I am the resurrection and the life. Whoever believes in me, though he die, yet shall he live, and everyone who lives and believes in me shall never die. Do you believe this?” (John 11:25–26). For the trial lawyers who have carefully investigated the admissible evidence for the resurrection, the only defensible answer to Jesus’ request for a personal verdict is a resounding yes. J. R. R. Tolkien, On Fairy Stories: Essays Presented to Charles Williams (London: Oxford University Press, 1947), 83–84. From Making the Case for Christianity: Responding to Modern Objections, pages 86–90 © 2014 Concordia Publishing House. All rights reserved. 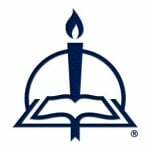 To order Making the Case for Christianity, please contact CPH at 800-325-3040 or visit www.cph.org.